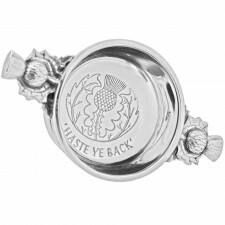 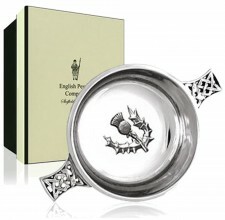 Thistle Handled Pewter Quaich 5"
English Pewter Company are proud designers and manufacturers of the finest quality handcrafted pewter items in the UK. 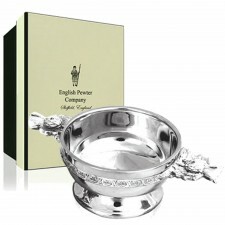 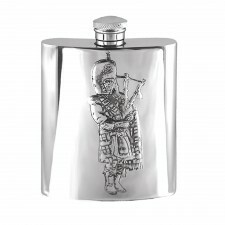 Holding a proud heritage as the UK's leading manufacturer of pewter giftware for more than 40 years, English Pewter Company offers exceptional quality Pewter giftware. 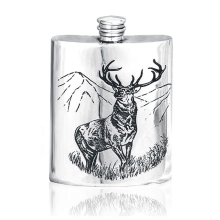 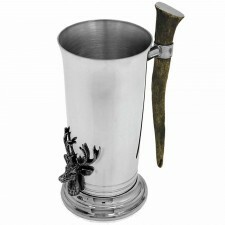 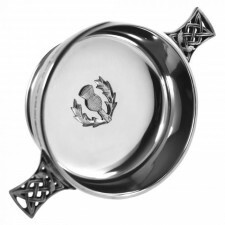 Based in the industrious British city of Sheffield (which has its own rich heritage of silverware, steel and pewterware manufacture), English Pewter Company specialises in Pewter gifts featuring traditional British inspired designs. 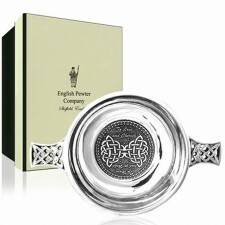 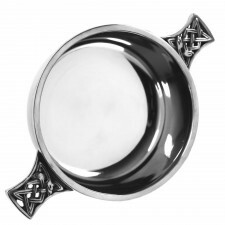 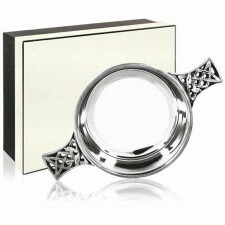 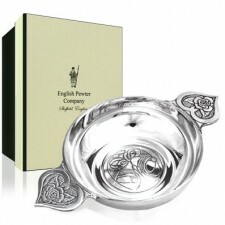 The range available at Gretna Green features a wide range of celtic and Scottish designs including the ever popular pewter quaich range. 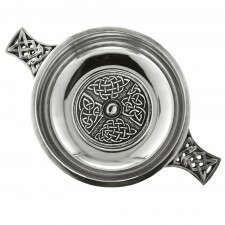 Quaichs are traditional bowl-shaped cups specifically designed for toasting. 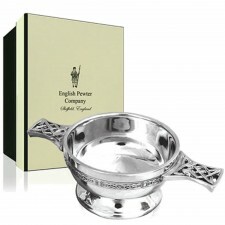 Perfect as gifts or mementos for special occasions, quaichs are a traditional part of Scottish feasts and celebrations.